Let’s immerse into the fairy tale of the winter forest and magic filling this holiday. 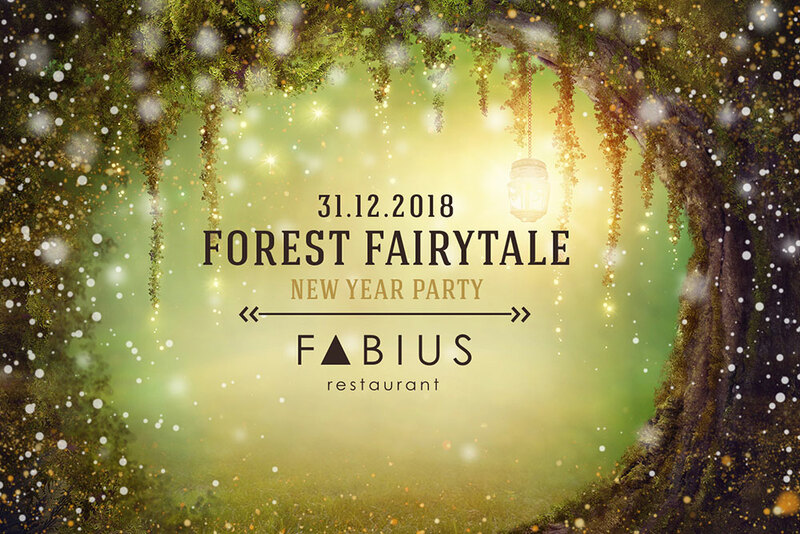 Welcome drink, fairytale photo zone, New Year’s menu from our Chef Igor Kalenichenko and several variations of the holiday program – miracles live at Fabius. An exquisite program awaits the guests of the fireplace hall, the balcony and the panoramic terrace. The holiday mood will be created by hosts Eugene and Lara Mazur, live vocal and an enchanting ballet. The exciting New Year’s Eve with the host of NRJ radio Michel Saikali awaits the guests in the restaurant’s banquet hall – stylish live covers, ballet show. New Year’s contests, surprises and many gifts. On the most picturesque forest terrace we will let our cherished wishes fly into the sky – and the fairytale atmosphere will make them come true! Dress code: black tie, all shades of green are welcomed. For our young guests, Fabius has planned a magic program at the children’s residence and delicious treats. Children of different age will enjoy merry New Year’s adventures. See you on December 31 at 09:30 p.m.
For details and table reservation please call: (050) 324-40-46; ‎‎‎‎‎‎‎‎‎‎‎‎ (067) 632-84-17. Fabius – more than a restaurant! Welcome to 70, Stolychne Shose. Would you like to keep up to the delicious events of our Restaurant? Kyiv, 70 Stolichnoe Shosse Str. Вместе с доставкой блюд авторской кухни Вы можете заказать профессиональное выездное обслуживание. В услуги официанта входит: сервировка стола, обслуживание гостей напитками и закусками, уборка грязной посуды. Заказ на услугу выездного обслуживания принимается до 21:00. Минимальный заказ – 1 час. Стоимость 1 часа 500 грн.